Photo: USFWS Mountain-Prairie. Creative Commons BY (cropped). Illegal wildlife trade undermines rule of law, degrades ecosystems and severely hampers the efforts of rural communities striving to sustainably manage their natural resources, Secretary-General Ban Ki-moon said today as the United Nations marked World Wildlife Day. “Combatting this crime is not only essential for conservation efforts and sustainable development; it will contribute to achieving peace and security in troubled regions where conflicts are fuelled by these illegal activities,” said Mr. Ban in a message for the Day. 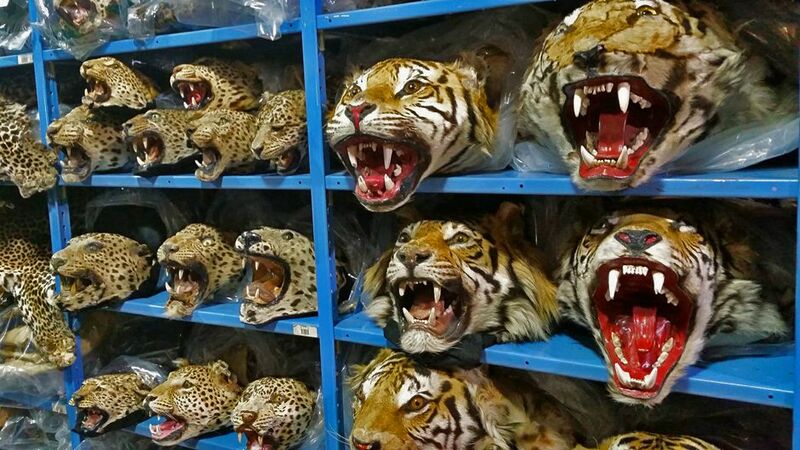 “Getting serious about wildlife crime means enrolling the support of all sections of society involved in the production and consumption of wildlife products, which are widely used as medicines, food, building materials, furniture, cosmetics, clothing and accessories,” the Secretary-General added. World Wildlife Day is observed annually and this year’s theme is ‘It’s time to get serious about wildlife crime’. Photo: USFWS Mountain-Prairie. Creative Commons BY (cropped). World Wildlife Day is observed annually and was proclaimed by the UN General Assembly in 2013 for 3 March, the day of the adoption of the Convention on International Trade in Endangered Species of Wild Fauna and Flora (CITES). This year’s theme is ‘It’s time to get serious about wildlife crime’. According to the United Nations, as many as 100,000 African elephants were killed between 2010 and 2012. For forest elephants, the population declined by an estimated 62 per cent between 2002 and 2011. In Asia, poached African ivory may represent an end-user street value of $165 to $188 million. According to new figures released today, elephant poaching rates remained virtually unchanged in 2014 compared to 2013, and still exceeded natural elephant population growth rates, meaning a continued decline in elephant numbers overall is likely. According to CITES, 1,215 rhinos were poached in South Africa alone in 2014 — this translates to one rhino killed every eight hours. Photo: Earth Touch. Creative Commons BY-NC-SA (cropped). According to CITES, 1,215 rhinos were poached in South Africa alone in 2014 — this translates to one rhino killed every eight hours. 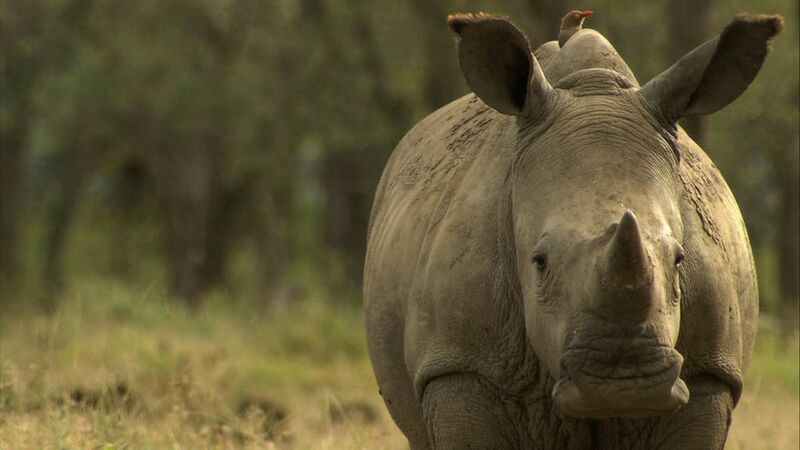 Approximately 94 per cent of rhino poaching takes place in South Africa, which has the largest remaining populations and rhino horn poached in 2014 is valued at an estimated $63 to $192 million. “The situation is serious,” he declared, urging the international community to tackle the poaching, transport and consumption of illegally traded wildlife and in so doing use the same sorts of enforcement tools, techniques and penalties used to combat other serious crimes, such as trafficking in drugs or persons. 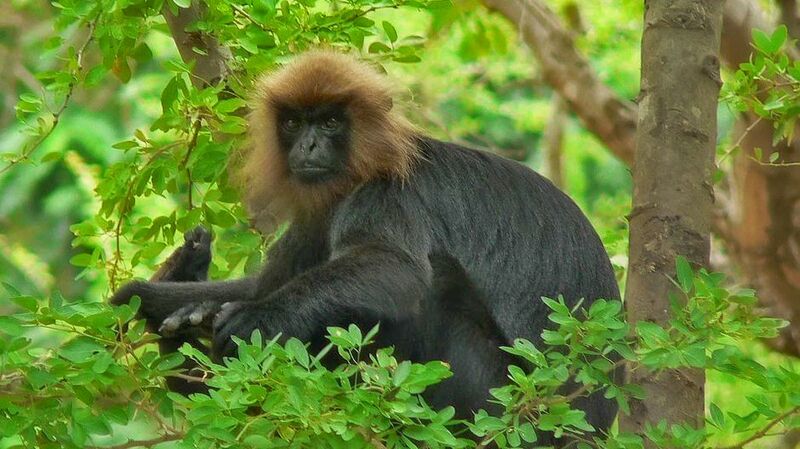 The Nilgiri Langur is found in the Western Ghat mountains of India and is classified as Vulnerable on the IUCN Red List of Threatened Species due to habitat loss and heavy poaching. Legend has it that its flesh and fur have aphrodisiac properties. As with the tiger, this belief is killing this beautiful animal. Photo: Photo: Pandiyan V. Creative Commons BY-NC (cropped). Indeed, once an emerging threat, wildlife and forest crime has transformed into one of the largest transnational organized criminal activities alongside drug trafficking, arms, and trafficking in human beings. Beyond immediate environmental impacts, the illegal trade in natural resources is depriving developing economies of billions of dollars in lost revenues. “Wildlife crime is a transnational organized crime generating billions of dollars and undermining development. It is also an inter-generational crime that can permanently scar the world through the loss of some of our most beautiful creatures. To stop this, we must act now,” said Yury Fedotov, Executive Director for the UN Office on Drugs and Crime (UNODC). “World Wildlife Day is an opportunity to celebrate wildlife, but it is also a wake-up call to get serious about wildlife crime. 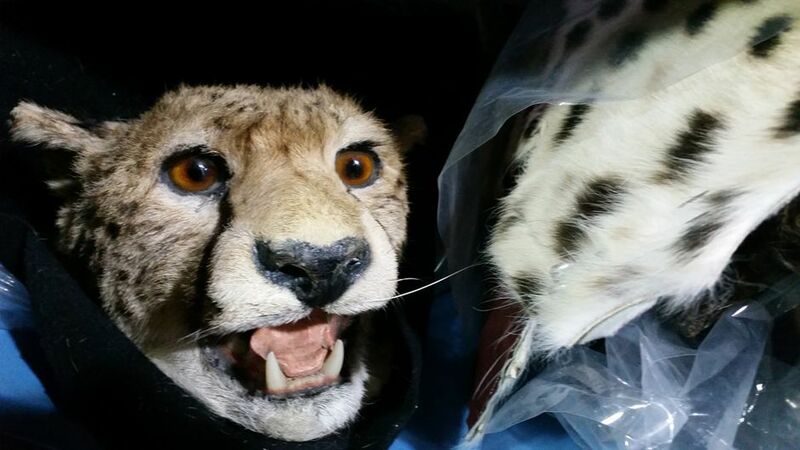 We must all do more to halt the illegal trade in wildlife. UNDP and its partners are committed to this task,” UNDP Administrator Helen Clark said. World Wildlife Day is being marked by events around the world. In New York, the Central Park Zoo is featuring a high-level expert panel discussion on the links between wildlife trafficking, organised crime and sustainable development. Other observances are being held around the world in Cairo, Lima, Nairobi, Seoul, Vienna, Geneva, Berlin and Sao Paulo. On the occasion of the Day, General Assembly President, Sam Kutesa, will host a special session, where Member States and the global community will examine the challenges and opportunities to stepping up international efforts to combat wildlife crime at a global scale. The vicuña (Vicugna vicugna) lives in the high alpine areas of the Andes and is the national animal of Peru; its emblem is used on the Peruvian coat of arms representing the animal kingdom. A relative of the llama vicuñas produce small amounts of extremely fine wool, which is very expensive as the animal can only be shorn every 3 years and has to be caught from the wild. 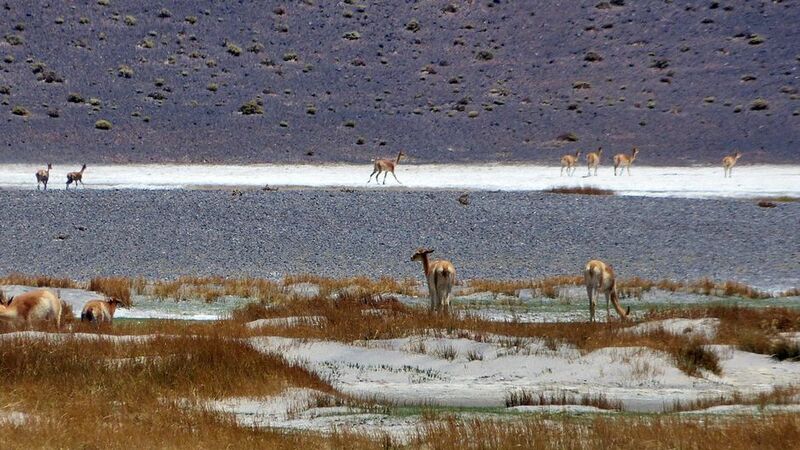 Both under the rule of the Inca and today, vicuñas have been protected by law. Before being declared endangered in 1974, only about 6,000 animals were left. Today, the vicuña population has recovered to about 350,000, and while conservation organizations have reduced its level of threat, they still call for active conservation programs to protect population levels from poaching, habitat loss and other threats.